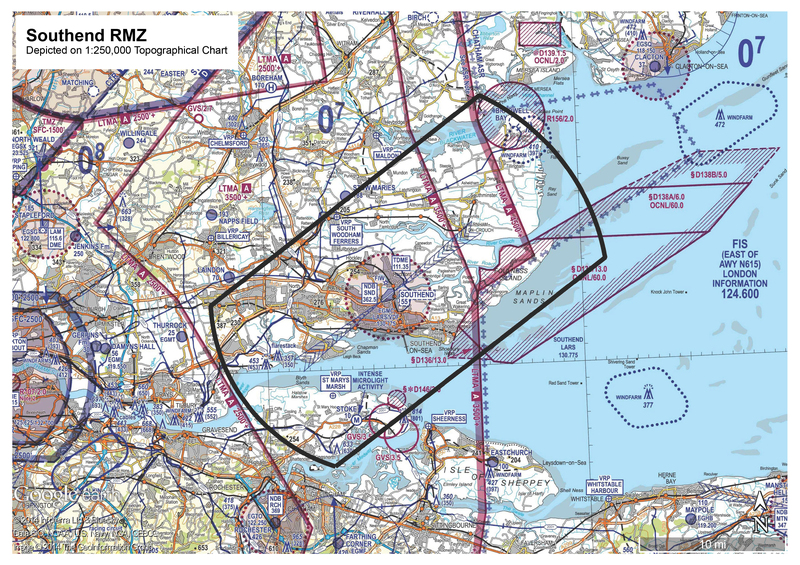 The UK Civil Aviation Authority (CAA) has today confirmed that a temporary Radio Mandatory Zone (RMZ) will be put in place around London Southend Airport. The RMZ, which was requested by the airport operator, will go live on 18 July 2014 and will remain in place until a decision is made regarding the airport’s application for controlled airspace. The CAA will review the RMZ in spring 2015. In its request to the CAA, the airport suggested the establishment of an RMZ would allow air traffic controllers to provide enhanced traffic information and de-confliction advice to aircraft landing or taking off at Southend. This will augment the safety measures employed by existing air traffic control procedures. London Southend Airport, which sits within Class G airspace, has seen a significant increase in commercial air transport movements in the last two years. The airport completed its consultation on establishing controlled airspace in the vicinity at the end of December 2013 and formally submitted an airspace change proposal in June 2014. Although an ATC clearance is not required, to gain entry to an RMZ, a pilot must establish two-way communication with air traffic control before entering, they must then remain on frequency while in the zone unless instructed otherwise*. Pilots planning to fly through the Southend RMZ will need to contact Southend on 130.775MHz before entering the zone. Aircraft not fitted with radios can still operate in the RMZ providing the pilot is able to co-ordinate arrangements with Southend ATC prior to departure.